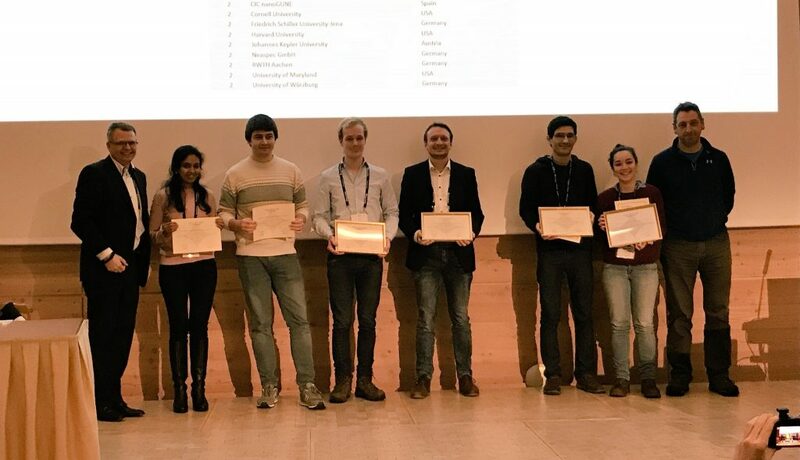 Robin Buijs won second prize for his poster presented at the 7th International Topical Meeting on Nanophotonics and Metamaterials (NANOMETA 2019) held in Seefeld, Austria. Congratulations to Robin! We published our work on building an on-chip optical circulator in Nature Communications. This work was done in collaboration with our colleagues at UT Austin. We were able to demonstrate tunable optical circulation at telecom wavelengths by making use of optomechanical interactions. For more details please see the press release here. Here is a cool video on the working of a circulator! 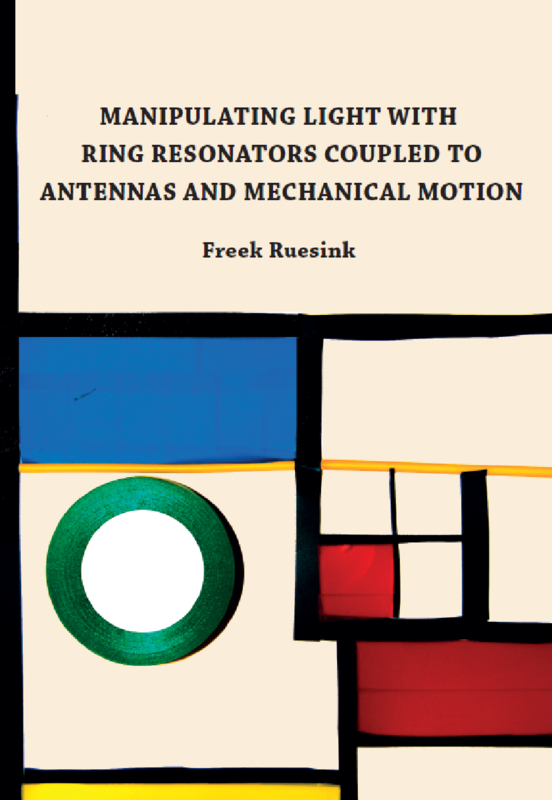 Freek Ruesink successfully defended his PhD thesis titled “Manipulating light with ring resonators coupled to antennas and mechanical motion” on 23rd October, 2017 at the Eindhoven University of Technology. 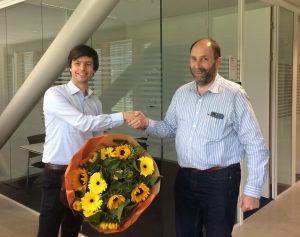 Congratulations to Freek! 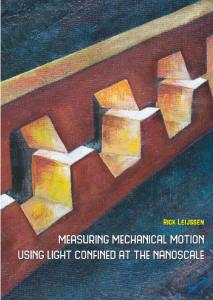 In a first for the Photonic Forces group, Rick Leijssen successfully defended his PhD thesis titled “Measuring mechanical motion using light confined at the nanoscale” on 19th October, 2017 at the Eindhoven University of Technology. Congratulations to Rick! Ewold was awarded a Starting Grant of 1.5 million euros from the European Research Council (ERC). The ERC uses the Starting Grants to support talented scientists in the early stages of their career in pursuing ground-breaking projects for a duration of five years. We will use the grant to study how mechanical vibrations (‘sound’) can be transported along nanostructured surfaces. Light can control these mechanical vibrations through optical ‘radiation pressure’ forces. The prospective result is remarkable; the sound waves will start behaving in ways not found in nature. The force of light will make the sound waves move in only one direction, it will transport them unhindered around arbitrary corners, and let the waves interact with each other. 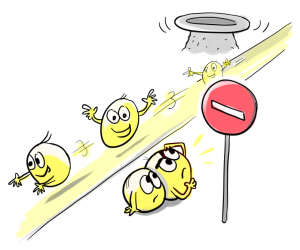 In particular, the project aims to study the unique behavior of mechanical motion that is normally associated only with electrons in so-called ‘topological insulators’: materials with remarkable electronic properties whose description was awarded the Nobel prize in physics last year. Creating analogous effects for sound at the nanoscale could lead to fundamentally new opportunities in technology, for example in sensing and information processing. 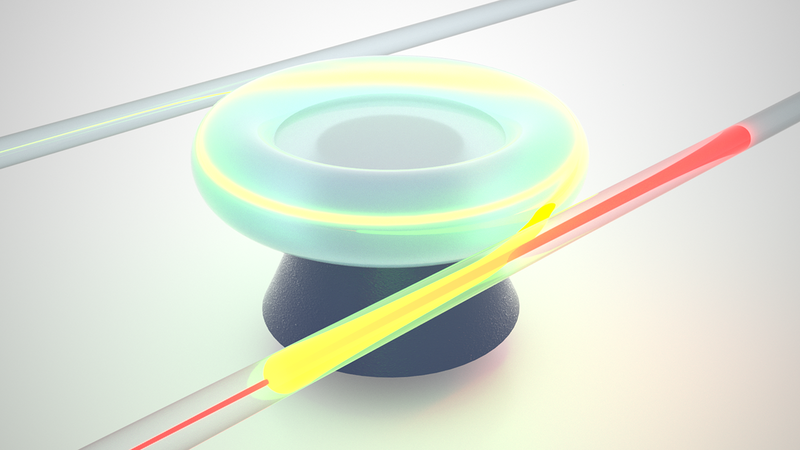 In a new paper in Nature Communications, we present photonic crystal nanobeams that exhibit extremely strong coupling between light and motion. As a result, the optomechanical interaction is no longer linear, even for the tiny thermal mechanical fluctuations of the beams. This has many important consequences, including the fact that the produced light signals are distorted, similar to how an overdriven guitar amplifier converts the clean motion of a guitar string into a screaming rock sound. See also our press release. Eigenmodes are powerful things in physics – there’s a reason we learn so much about them early on in BSc studies. They tell us how a system likes to behave if it’s left alone, decoupled from the outside world. But physical systems are never decoupled fully from their surroundings. Optical systems (i.e., structured polarizable matter), for example, can be driven by light waves coming in from afar, and in turn radiate waves into the space surrounding them – a response that is captured in the scattering matrix of a system. That scattering matrix is a powerful thing too: For any given incoming field, it tells us what waves we could expect to come out of the system. For example, it can tell us how a chiral optical system can change the polarization of light transmitted through it. It was in trying to understand the chiral response of a complex photonic crystal slab that we stumbled on a very general problem. We wondered if we could predict the full scattering matrix of a system, if we happened to know all of its eigenmodes? Even though in recent years it has become clear how we can talk about eigenmodes in systems that are not decoupled from the rest of the world (by talking about complex ‘quasi-normal modes’ instead), the answer to that question was not known, except for very special cases. In a publication in Physical Review X, we now present the solution to that general problem, showing that one can accurately predict and understand the response of any optical system from the fields of its eigenmodes at some distance away from the structure. 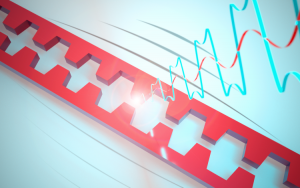 We think it’s a hugely powerful method, that can actually be much faster than brute-force alternatives to calculate scattering matrices of practically any nanophotonic system one can think of. And it allowed us to solve the problem that started it all: to understand just how ‘chiral’ a thin photonic crystal slab can be. In a paper in ACS Photonics, we show that such systems can show large asymmetric transmission of polarized light, that is connected to the polarization of its eigenmodes. And we reveal that there is a fundamental limit on asymmetric transmission, that is linked to the principle of reciprocity. 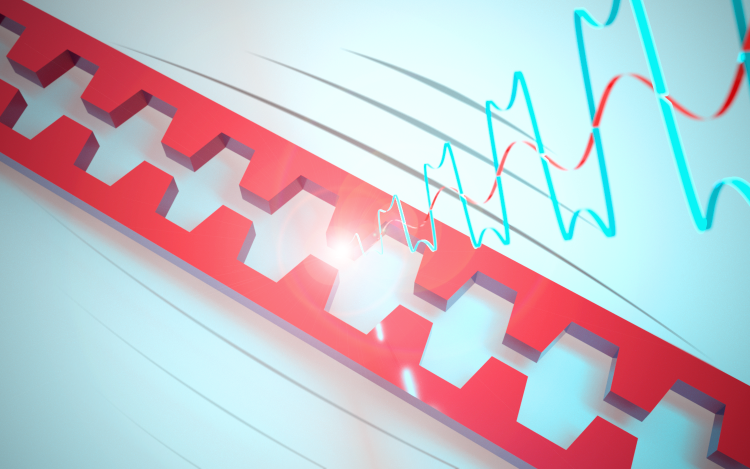 Using our theory, we show how one can design chiral photonic crystals that have nearly ideal asymmetry: blocking light of a certain polarization in one direction, while allowing it through in the other. Congratulations to Nikhil Parappurath and Filippo Alpeggiani for shedding so much new light!